Read the instructions posted below for more information regarding the Enterprise Rent-A-Car job application (online version). At this time there is no printable/.PDF version available. Numerous career types can be applied for including management, customer service, sales, IT, corporate, and more. About the Company: Enterprise Rent-A-Car is the largest automobile rental company in the United States. The company operates over 5,000 city/town locations and over 400 airport locations. 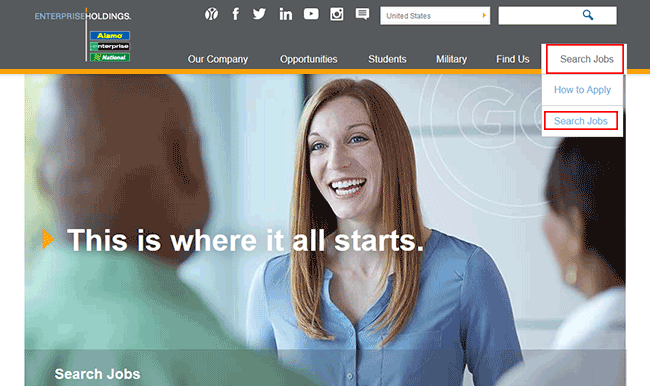 Enterprise was founded in 1957, and currently employs over 95,000 people. 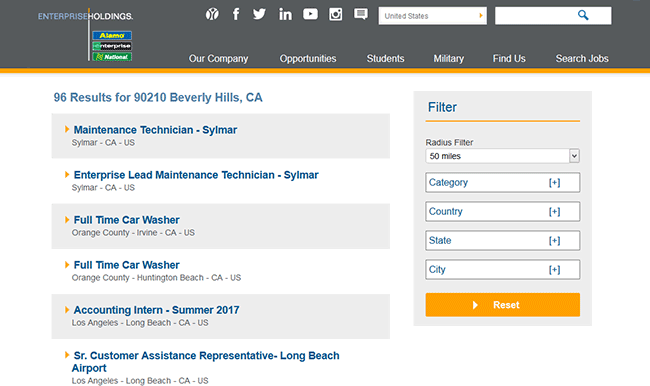 Step 1 – Click here to load the careers page in a separate browser window/tab. Step 2 – Hover over the “Search Jobs” link and then hit the “Search Jobs” button to load the main search page. Step 3 – Filter the results by category, country, city, or state. 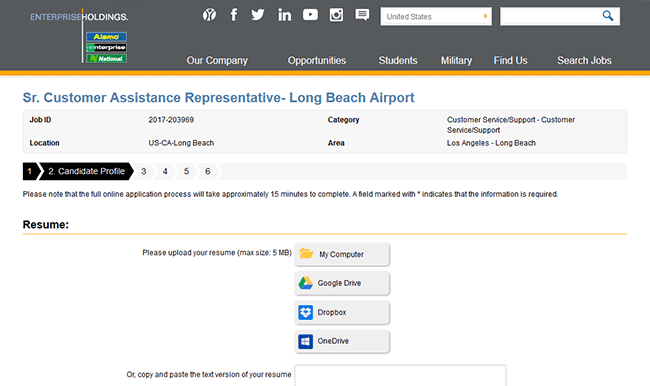 Step 4 – Press the link of the position that you want to submit an application for. 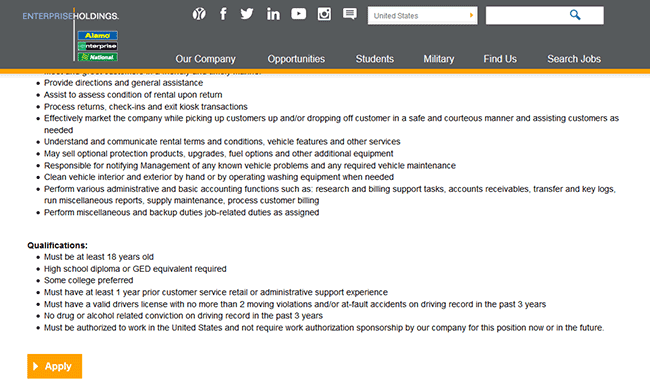 Step 5 – Read the job description, responsibilities, and qualifications. Scroll down and hit the “Apply” button to go to the next step. 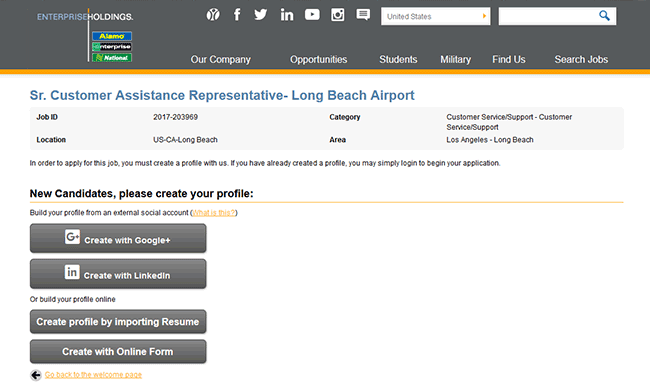 Step 6 – If you’re a new candidate you must create a new profile. Step 8 – Click the “Submit Profile” button. Step 10 – Click the “Submit Profile” button to move to the next section. 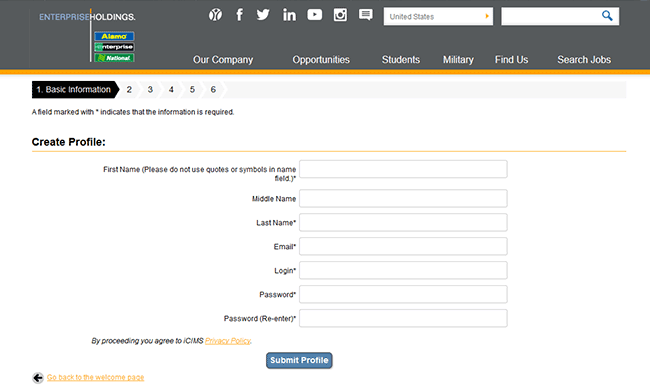 Step 12 – Review the submitted information and then click the “Submit” button to complete the process.